The Buddhists most often show reverence by erecting gigantic statues and carvings of Buddha. 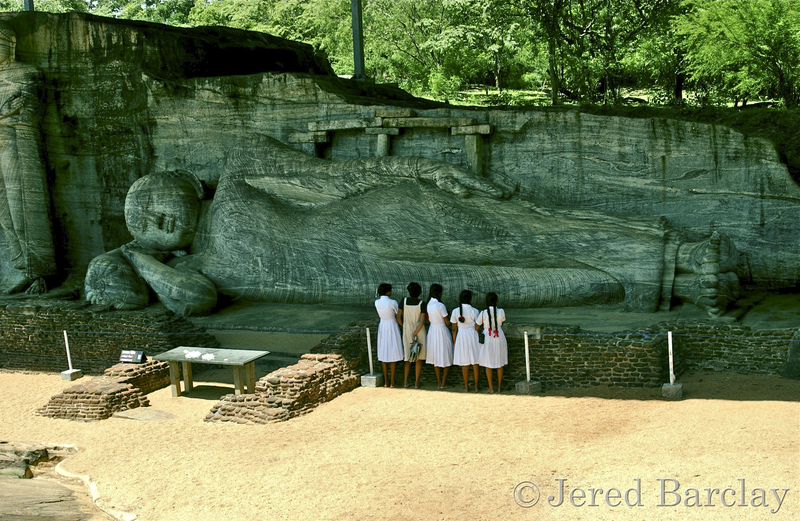 You can see the scale of this one in Polanaruwa, Sri Lanka. It was carved out of a single granite cliff face by an unknown twelfth century artist and is 46 feet long. The weight is estimated at twenty-three tons. Below is a close-up of the head. 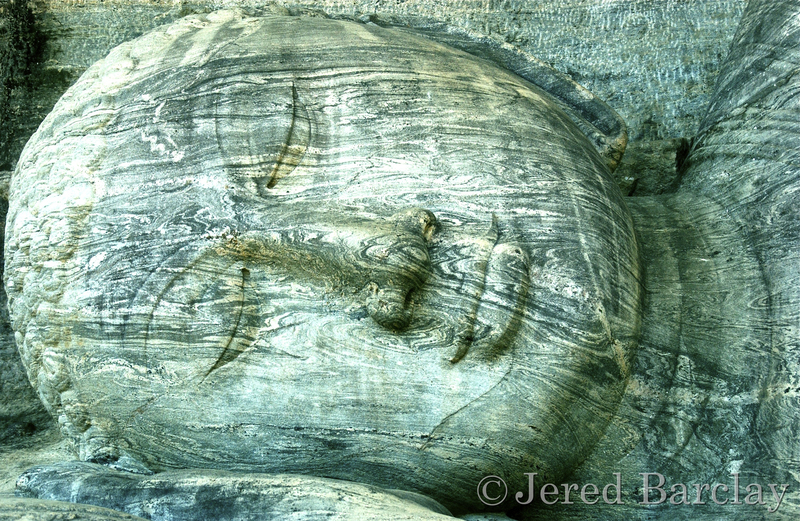 The ripples washing over the delicately carved face and figure make it seem almost as if it were breathing. This is my favorite because of that quality. 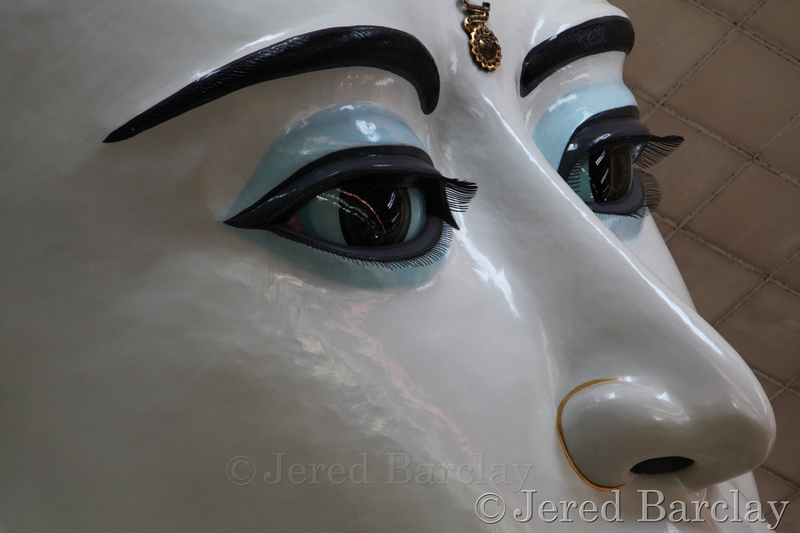 This is an extreme close-up of the sixteen foot head on a wood carved, painted and gilded figure that is 213 feet long and 52 high and on display in Yangon, Myanmar. 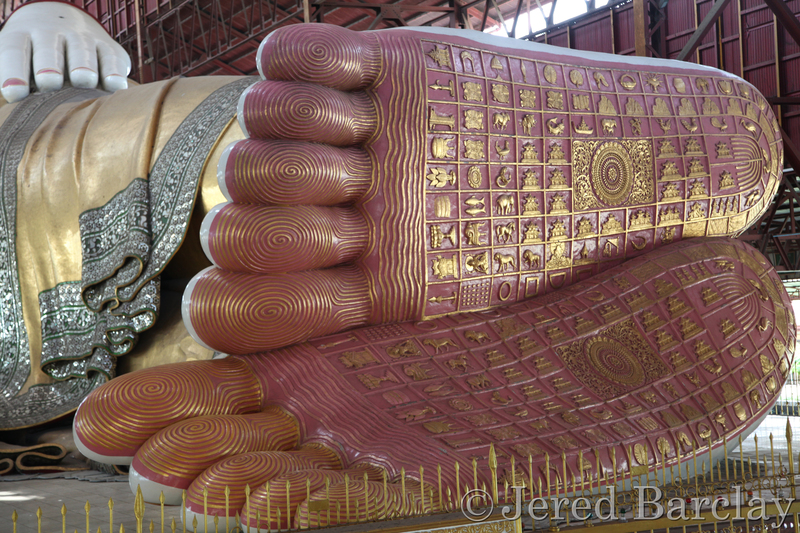 It is the largest reclining Buddha in all of South East Asia. The patterns on its feet are fascinating and there is a shrine just below them. This carved and painted head of a seated Buddha is currently being constructed in Thimpu, Bhutan.. Beside revering huge images of Buddha, the faithful honor him in the number of smaller images. Inside this giant statue will be housed 100,000 eight inch bronze and gilded Buddha statues. 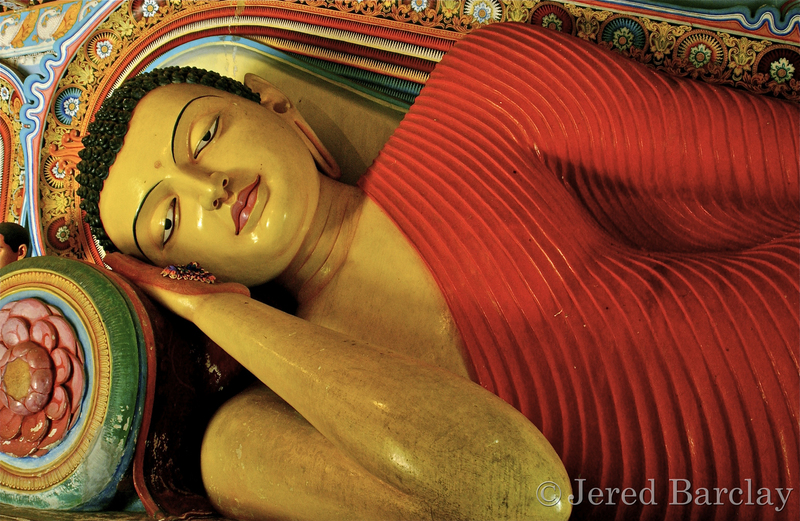 This forty-four foot vividly painted reclining Buddha is housed in a shrine three stories high in Anuradhapura, Sri Lanka. 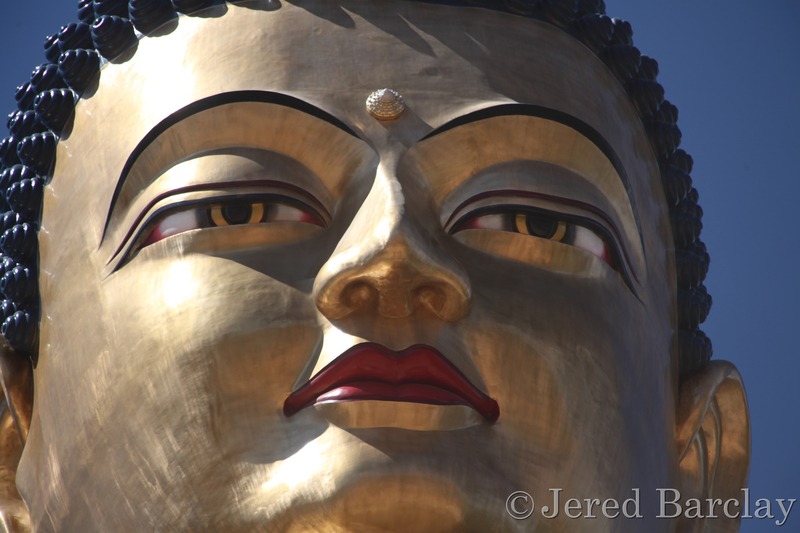 In photographing 108 countries around the world I come on some amazing phenomenon such as these mammoth statues.